Has President Barack Obama's first term embodied the idealism of the 2008 campaign? The answer is debatable, according to interviews with nine prominent black academics in the run-up to next year's presidential election. For the last in the series, The Root Interviewed Marc Lamont Hill, associate professor of English education at Teachers College, Columbia University. Read the other interviews here. 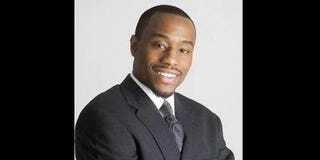 Marc Lamont Hill: My expectations were well-managed from the beginning. I always saw the president as a political centrist. I … expected some economic turnaround. When I see wars being fought, I'm not surprised. MLH: He's thinking about the context for [the] next big economic boom. I'm not sure he has a clear vision for job creation in the now. He's been strong in the abstract. MLH: I agree with the critiques of Tavis Smiley, Cornel West and Maxine Waters. When there's insufficient or no talk about black and brown people, we need to do something about it. It's disrespectful not to challenge President Obama. MLH: We are engaged with the issues of [Occupy Wall Street]. We may have made strides toward a postracist America, but even those, I think, are a small step. All the measures of social misery continue to affect blacks more than whites. MLH: Disrupting private interest versus public good: mass incarceration, broken schools and joblessness. To read the entire series of interviews with academics, click here.